Our August 2015 selection from BlueInk Review, a service which reviews self-published books. 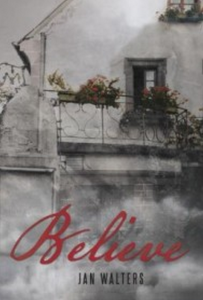 Believe, by Jan Walters: This engaging romance tells the story of Ann, a single, divorced mother who purchases an old album titled Lady Oneil’s Memoirs from a local bookstore and soon finds herself dreaming of a handsome man from the album. When a boyfriend she is trying to break up with becomes violent, she is saved by a freak thunderstorm that transports her to 1870 — into wealthy English society and the arms of dashing Patrick O’Neil. As Ann struggles to find her footing in her new life, Walters expertly blends time and place, delivering a fantastic time travel romance that combines relatable characters, passion and humor with plenty of action and intrigue. Author’s current residence: Indianola, Iowa. Read review. Big Foot Adventures Down Under, by Maggie Meyer (with Joan Small): This all-ages, action-packed fantasy adventure focuses on a group of kids who set out to search for Yowies (Australia’s version of Bigfoot) in the Blue Mountains of New South Wales. A nine-day adventure transpires, filled with mythical creatures, prehistoric dinosaurs and the wonder that results. While tonally reminiscent of Jules Verne’s classic Journey to the Center of the Earth, this novel has a contemporary feel, with authentic teenage protagonists and a commanding message about the revitalizing strength that comes from family and friends. Highly recommended for adventurers of all ages. Author’s current residence: Queensland, Australia. Read review. The Happy Life of Preston Katt, by J.J. Kerr: This haunting tale recounts the daily experiences of Preston Katt, a man who enlists in the Navy in 1941 to escape the abusive life of an outcast and participates in major WWII naval battles, including Pearl Harbor, Guadalcanal and the Battle of the Coral Sea. Riveting combat descriptions from a sailor’s point of view are seamlessly woven throughout as Katt confronts the death of friends and his own overly scrupulous conscience, sweeping readers along to the story’s shocking conclusion. Author’s current residence: St. Charles, Missouri. Read review. Lord of Ten Thousand Years: The Paper Dragon, by Sidney Chan: Dramatizing the demise of the Ching Dynasty at the turn of the 20th century, this novel begins in 1899 with Emperor Kuang-hsu, 28, exiled from the imperial palace by Empress Dowager Tzu-hsi for agitating for governmental reforms. Languishing in illness and depression on a remote island, Kuang-hsu yearns to regain the throne. Meanwhile, political unrest and anti-foreigner sentiment spreads throughout the provinces, and violence causes tensions to escalate. Delivering compelling portrayals of the era’s real-life imperial rulers and the political power plays they contrive, this story makes for a fine debut. Author’s current residence: San Francisco, CA. Read review. I Do. A Wedding Planner Tells Tales, by Lynda Barness: After a decade of wedding planning and more than 200 weddings, Barness has seen it all. Lucky for readers, she took notes and has stitched them together into a lively, exhilarating and, at times, heartwarming tell-all. Here, Barness dishes the dirt about overanxious mothers, weepy brides, flaky grooms, ugly up-dos, rude priests and uncooperative weather, in each case explaining how she handled the situation. The result is a rollicking reflection on human nature and the dangers of focusing more on meaningless details than on the joy of the occasion. Author’s current residence: Philadelphia, PA. Read review. Tomorrow I’m Dead, by Bun Yom: This simple yet powerful memoir recounts Yom’s tale of survival after being captured by the Communist Khmer Rouge, which conquered Cambodia in 1975. Only 14, he was forced to work in the Killing Fields, burying hundreds of murdered Cambodian civilians. After his escape, he worked as a “freedom soldier,” delivering his people from enemy hands. Yom never set out to kill others, except in self-defense, and ultimately, his memoir speaks as much about the goodness of man as it does the gruesome horrors of past events. Author’s current residence: Ellensburg, Washington. Read review. The Wisdom of Huineng: Chinese Buddhist Philosopher, edited and translated by Chu Dongwei: Huineng was a Chinese peasant who, despite a lack of religious training, became the Sixth Grand Buddhist Master and composed an autobiographical and spiritual work titled The Platform Sutra. This translation of that text and other works associated with the master, along with commentary from Dongwei, renders Huineng’s life and philosophy in accessible modern language, offering an inspirational new inroad to understanding Chan Buddhism. Author’s current residence: Guangzhou, China. Read review. The God Thought, by Dave Cravens: This action-packed thriller with a science fiction bent revolves around accountant Oliver Wells, who has lost his wife and daughter in a plane crash. The crash turns out to be the result of “the god thought” —a moment of clarity in one man’s mind so powerful that it unleashes massive forces of creation and destruction. Touched by the god thought, Oliver finds himself with superhuman psychic strength and pursued by a group called the Collective, which seeks to harvest his powers. Keeping the excitement and twists coming, Cravens has delivered a novel that will especially entertain fans of Dan Brown’s Robert Langdon novels and such Michael Crichton works as Sphere and The Terminal Man. Author’s current residence: Aliso Viejo, CA. Read review. Flexible Wings, by Veda Stamps: When 11-year-old Summer’s military family moves — again — she is forced to adapt to a new city and try to make new friends. No wonder she resents her parents’ military careers — a frustration that only grows when she learns her mother is being redeployed. As Summer faces her challenges, she comes to accept the idea that “moms are not always there every time you want them to be,” but that doesn’t mean you’re alone. A sensitive, honest exploration of the emotional life of the children of active military, this is a heartwarming, thoughtful and authentic book for young readers. Author’s current residence: Valencia, CA. Read review. Walking with Herb: A Spiritual Golfing Journey to the Masters by Joe S. Bullock: When 63-year-old Joe Goodman receives a message on his computer screen from God, he thinks he’s going crazy. Then he really doubts his sanity when God tells him he will play in, and possibly win, the Masters Golf Tournament the following spring. God then sends a likable older gentleman named Herb to caddy for Joe, and, along the way, Herb offers sensible advice on how to make the most of each day. This endearing story builds suspense while spreading a message of hope: that God is approachable and willing to help with any of our problems. Author’s current residence: Las Cruces, NM. Read review. The Play’s the Thing, by Kathleen Keena: Keena charts her collaborative work with her husband as they bring theater to academia, community and independent stages. The author takes a close look at individual plays such as The Glass Menagerie, The Taming of the Shrew and The Rainmaker and offers incisive, articulate examinations of the thought process behind staging each, including details about bringing one’s own interpretation of the script to the proceedings. Her book delivers absorbing, compelling reading for anybody who enjoys understanding how a show is built from the ground up. Author’s current residence: East Windsor, CT. Read review. Our Emotional Footprint, by Saul Levine, MD: Levine asks readers to consider what emotional footprint we will leave behind as a legacy, citing benchmarks such as being caring and close to others, following ethical principles and helping to enhance the lives of others. Offering case studies, Levine evaluates the composite person described, delivering useful insights into human nature and the challenges we face along the way. 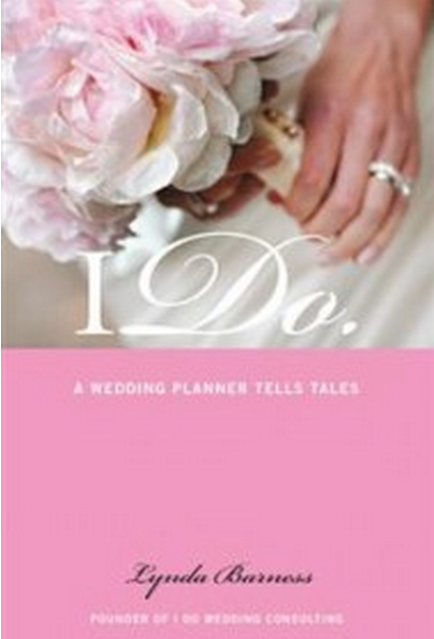 Almost every reader will learn something of significance in these pages to help him or her lead a more meaningful life. Author’s current residence: Del Mar, CA. Read review. BlueInk Review was founded by Patti Thorn, former books editor of the Rocky Mountain News, and Patricia Moosbrugger, literary agent and subsidiary rights specialist. We offer professional, unbiased reviews of self-published books. Our reviews are penned by writers drawn from major mainstream publications, such as The New York Times and Washington Post, and editors of respected traditional publishing houses. If you are interested in receiving notices in your email inbox of other notable titles, please sign upfor our mailing list. We also invite you to visit our website.